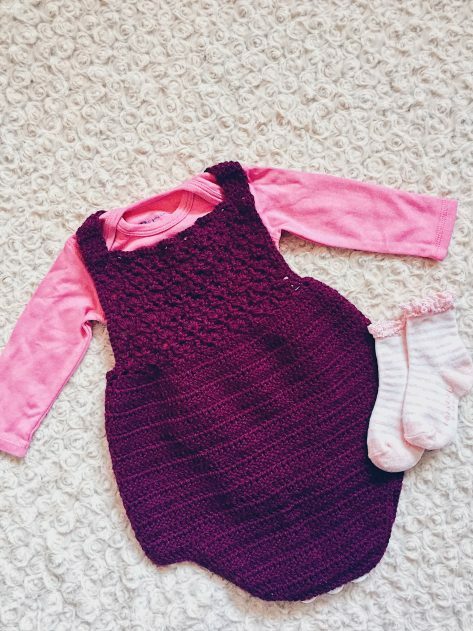 While I was pregnant, particularly in my third trimester, I crocheted some clothing items for my baby. using some awesome patterns (paid) that produced uber cute pieces. I love this pattern so much and the romper is so cute! The pattern is easy to crochet and if you ever get stuck, the designer has a YouTube video to help. This gorgeous sundress is available from newborn to size 9-10 years. I love it so much that I made one for my 6 year old and another for her baby sister. I know I’ll definitely be making more, in different colours, as the girls grow older. The detail in this pinafore dress is so lovely and really stands out. This was really fun to make. Details, this dress is all about details. That scalloped edge? Love, love, love. 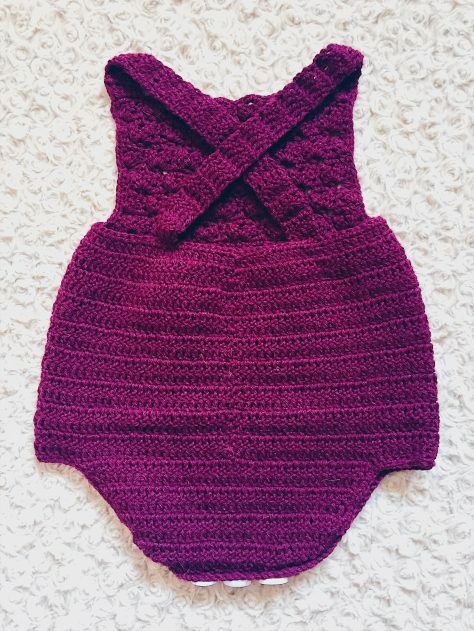 Hail to the cuteness, all of the cuteness of this romper! Such stunning detail down the front middle.